Until June 2009, Lauren served as the Executive Director of Stanford Law School’s Center for Internet and Society (CIS) and Lecturer in Law at the Law School. Prior to joining CIS in 2002 as Associate Director, Lauren was Corporate Counsel for RealNames Corporation. She also spent six years in Washington, DC as the Public Policy Director for the Electronic Frontier Foundation (EFF), and as the Associate Director of Public Policy for ACM, the largest association of computer scientists in the world. 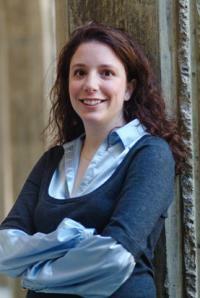 Lauren’s expertise on cyberlaw issues is recognized internationally. She has spoken to national and international press and most major media outlets and has participated in WIPO, Web2.0 Expo, ICANN, BlogHer, CFP, and many other conferences. She testified before the Administrative Office of the U.S. Courts(AOUSC), argued before the Northern District of California, authored numerous amicus briefs and served as an expert witness in a cyberlaw case. She filed comments before the FTC, FCC and served on the Transportation Security Administration’s (TSA) Secure Flight Working Group at the Department of Homeland Security. She taught Internet Privacy, Governance in Virtual Worlds, Advanced Cyberlaw and Fair Use, and currently is teaching Privacy and Free Speech Online at Stanford Law School and served as the Dean of State of Play Academy (SOPA), a law and technology community located in the virtual world There.com. She sat on the Board of Computer Professionals for Social Responsibility. Lauren is the co-editor of Securing Privacy in the Internet Age, the author of Privacy, Free Speech and Blurry-Edged Social Networks published by the Boston College Law Review as well as dozens of other articles on Internet issues. She received a B.S. in Biology and Society from Cornell University, an M.S. in Science, Technology and Public Policy from George Washington University, and her law degree from Georgetown University. She is a member of the California Bar.